Special mention: The Guardian — Journal reflects upon the horrific events that unfolded in New Zealand last weekend. The last two issues of Bloomberg Businessweek are too clever not to mention together. The first, from 11 March 2019, paints a portrait of bureaucracy today, implying a plague — a destructive meme in businesses, brands, corporations, governments, and the like — that continually call upon their original values but actually don’t have any values at all. Who, lacking empathy or foresight, fall upon age-old strategies that are void of any insightful approach to leadership, using branding jargon such as “promise”, “essence”, “vision”, “mission”, etc but, in the same breath, don’t see people as human beings, viewing us only as consumers. And, rather than seeing employees as human beings, they see numbers depicted in various colour-coded Venn diagrams, bell curves and strategic models, using overused empty terms like “innovation” and “disruption” as alibis for the destruction of culture. This is why these institutions are prone to be blinded by their own mediocrity and red tape. Globally, these entities no longer have it in their DNA to be ‘disruptive’ or ‘innovative’, even though they continually use this rhetoric, because bureaucracy is entrenched, aiming only to please shareholders, ignorant towards stakeholders, focused only profit. Brexit is an obvious example of this plague in terms of global politics and socioeconomic concerns. When compared to Netflix, the archaic strategy of AT&T regarding HBO’s streaming service is another. This overall problem of ‘Strategy Out of the Dark Ages’ is visualised here like a conceptual art installation, with an archetypal office chair lit with ‘cool’ florescent light, superimposed with the Iron Throne from Game of Thrones (implying fantasy and spectacle), surrounded by stereotypical office props such as a fake plastic indoor plant, the ubiquitous water dispenser, and a dated air conditioner. A pure image of leadership, or the lack thereof, today. The second, from 18 March, relates to the first in many ways, specifically when it comes to values, leadership, empathy and the human factor. 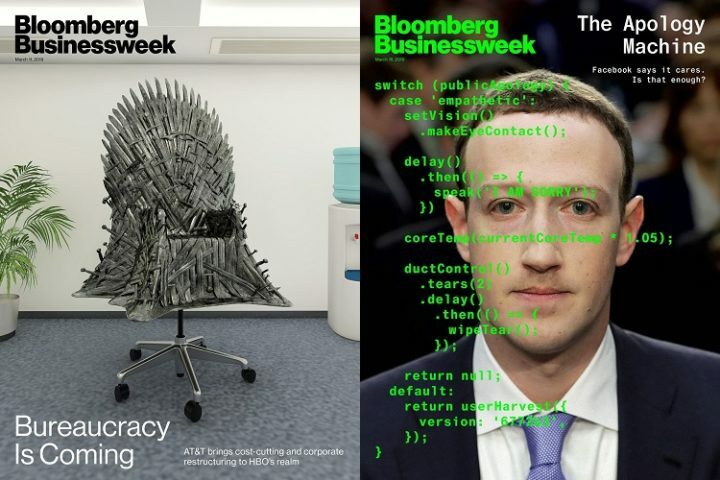 It presents a creepy machine-like portrait of Facebook co-founder and CEO, Mark Zuckerberg, looking like the corporate version of the Night King (another Game of Thrones reference), groomed to sit in the office iron chair pictured in the previous issue. With the headline, “The apology machine”, the robot-like Zuckerberg — also reminiscent of the Data character from Star Trek — is superimposed with code suggesting his inner monologue, and resultant lack of ability to perceive compassion and empathy. What a portrait of business and leadership today. The last two issues of AIGA’s Eye on Design magazine are also worth mentioning together, and oddly relate to the issues of Bloomberg Businessweek mentioned above. 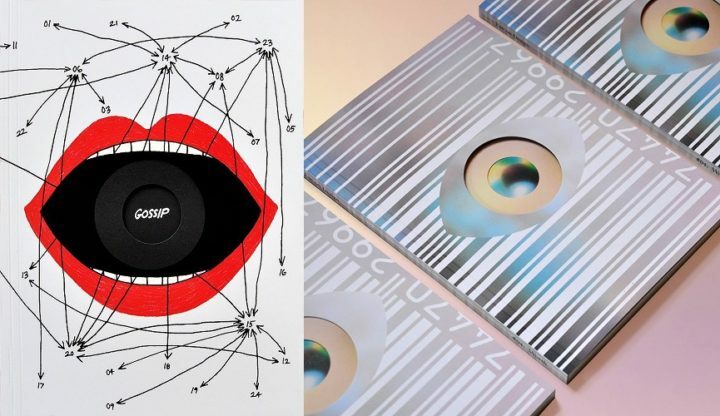 Released near the end of 2018, issue #3 was themed “Gossip” and designed by Tala Safié. Suggested by the manipulated eye on the cover — made to look like a talking mouth spreading various converging and diverging lines of communication — this issue delivers reportage on the role that design has in various forms of communication today, whether fake or truthful, manipulating and influencing. Themed “Worth”, perhaps #4 is more closely related to the subject matter of the Bloomberg Businessweek issues above. The cover sports a glossy, iridescent eye that has been covered with a giant metallic barcode, with Orwellian implications. Guest-designed by Berlin-based graphic designer, David Benski, #4 asks pertinent questions about the value of design in socioeconomic terms, power relations, and the human factor. A testament to how the underground feeds the mainstream, and vice versa, in a continually evolving lifecycle between the new and old, and the commercial and subcultural, New York-based NYLON is a leading lifestyle magazine for young women and is focused on emerging culture through youthful reportage about the dark matter that exists between fashion and entertainment. Previously, NYLON had Marvin Scott Jarrett as editor-in-chief, as he was a founder of the publication alongside Jaclyn Jarrett, his wife. Interestingly, Marvin Scott Jarret was the owner, founder and publisher of Ray Gun magazine, which produced over 70 issues between 1992 and 2000. His magazines have always been noteworthy for their iconic use of graphic design, calling upon the talents of a number of historically influential creatives, most famously David Carson [who was recently interviewed by Media Design] and Chris Ashworth. After much controversy, wherein it appears that Jarret had NYLON pried away from him in a joint-investment move from a number of influential corporate entities, NYLON has evolved into a multiplatform media company, with the original magazine turning into an afterthought. The focus still remains fashion but is geared more aggressively towards youth and pop culture. Marc Luzzatto is now the chairperson and owner of NYLON, and he made the call to close off the original print edition of magazine, with Evan Luzzato as the president, alongside Gabrielle Korn as editor-in-chief. 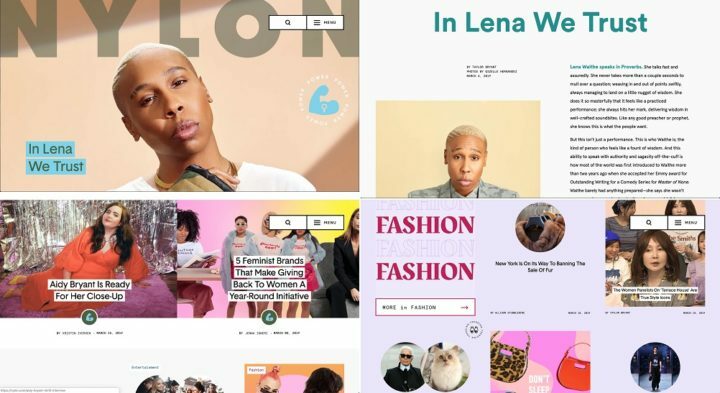 Despite all the tectonic shifts at NYLON, the online presence of this media company is impressive. The latest edition showcases American screenwriter, producer, and actress, Lena Waithe. The site is really well put together, with all musts for a well-oiled user experience supported by great design. Brein was a Bitterkomix-inspired zine, first published in early 1998. The brainchild of South African designer and illustrator, Rikus Ferreira , the first issue was co-edited with his university classmate, Matt Ross (who is today co-founder and chief creative officer at King James Digital), while completing their final year at the visual arts department of Stellenbosch University. Brein was launched in Stellenbosch, and was also showcased at the KKNK in Oudtshoorn (accompanied by an exhibition) and the National Arts Festival in Grahamstown that year. Only three issues were published. 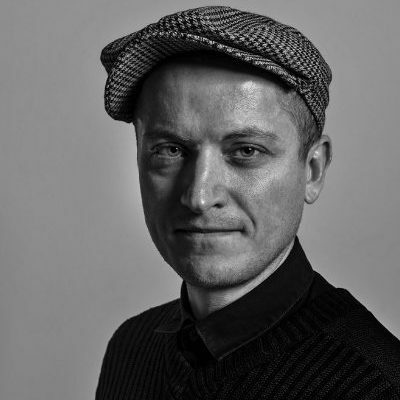 While completing his masters in fine art at Stellenbosch University, Ferreira went on to edit the remaining two issues of Brein alone, as Ross left for England in late 1998. The creative duo were particularly inspired by Anton Kannemeyer and Conrad Botes, who were busy with the then still-underground Bitterkomix. Brein was meant to be another voice adding to the underground and independent publishing scene in SA at the time, particularly within the comic book genre. Ferreira and Ross did most of the stories and comic strips for #1 themselves, with the help of a few contributors to give more depth to the issue. This trend continued for each of the following two issues. Some notable contributors include Brandt Botes, Wil Kruger and Joe Dog (Kannemeyer’s pseudonym). And, once again, the pendulum flows from the underground to the mainstream and back again. In light of the dark events that unfolded in Christchurch, New Zealand last weekend, the cover to The Guardian — Journal quietly chants a powerful and moving message. 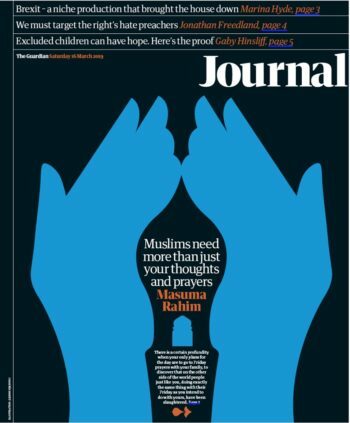 Designed by Dutch illustrator, Dennis Vernooij, the cover illustration plays with gestalt elements, depicting a set of hands (with a hint of doves with open wings) almost in a prayer gesture, gently nestling a mosque minaret in the negative space in between. There are no words. Media Design is a regular slot deconstructing media design, both past and present.